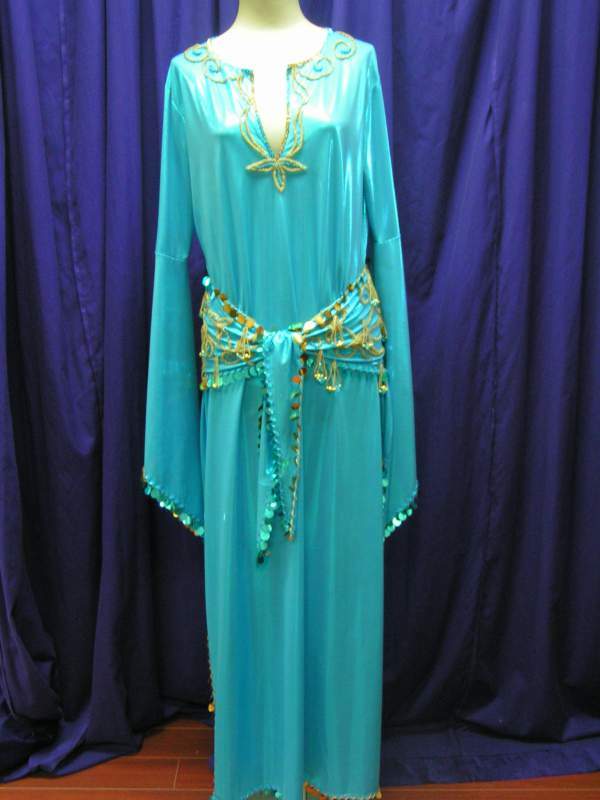 Turquoise Lycra Saiidi Dress with Gold Payets and Beading. Length 135cm approx. Will fit up to a size 14. Includes beaded belt.